The February Revolution (March 1917 in the Gregorian calendar) was a revolution focused around Petrograd (now St. Petersburg). The Russian Revolution of 1905 is considered as a major factor to explain what sparked the February Revolution. 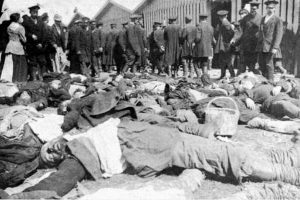 In particular, the events of Bloody Sunday triggered massive unrests. A council of workers called the St. Petersburg Soviet was created and the beginning of a communist movement began. The disruption of agriculture was also a considerable problem in Russia, but it was not caused by poor harvests, which had not been significantly altered during war-time. The indirect reason was that the government had been printing off millions of ruble notes in order to finance the war, and by 1917 inflation had made prices increase up to four times what they had been in 1914. A Russian provincial town. 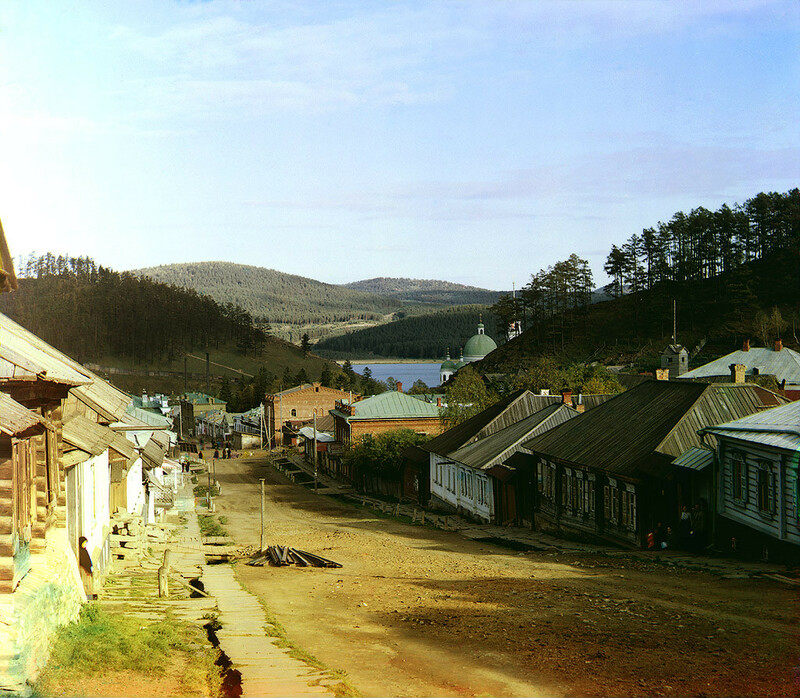 Photo taken in 1911 by Sergey Prokudin-Gorsky. The peasantry made no gain in the sale of their products, since it was largely taken away by the middlemen on whom they depended. Consequently, they tended to revert to subsistence farming. Therefore, the cities were constantly in a situation of food shortage. In the meantime, rising prices led to higher wages expectations in the factories. In January and February 1916, revolutionary propaganda partially financed by German funds resulted in widespread strikes. Under Nicholas II, individuals were expected to show deference to the social hierarchy combined with an exalted sense of duty to the country. Religious faith was instrumental in helping political authorities to maintain order in harsh economic and social conditions through the influence of the clergy. 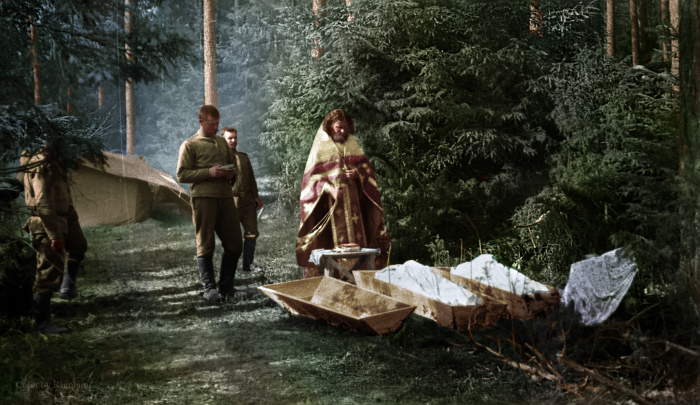 In this regard, and maybe to a greater extent than any other modern monarch, Nicholas II attached his fate and the future of his dynasty to the concept of the ruler as a saintly and infallible father to his people. Indeed, Article 4 of the 1906 Constitution would concern “the essence of the supreme autocratic power”, stating that obedience to the Tsar was being mandated by God himself. However, as shown in previous parts of this series, Russian intellectuals had been promoting ideals such as the dignity of the individual and the urge to lean the political system towards democratic representation since the Age of Enlightenment. Not surprisingly, a growing opposition movement had begun to challenge the Romanov monarchy openly well before the turmoil of World War I. A famous incident known as “Bloody Sunday” (January 1905, not to be confused with events unfolding under the same denomination, especially in South Africa in 1900 and Ireland in 1972) immediately comes to mind: Father Gapon led a massive crowd to the Winter Palace in Saint Petersburg to present a petition to the tsar and the official response was Cossacks opening fire on the crowd, killing hundreds. 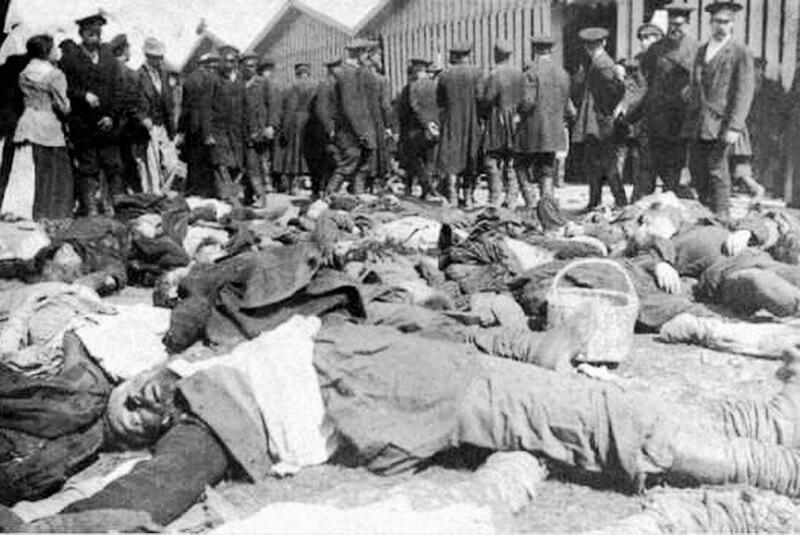 Following this brutal massacre, a general strike was declared demanding a democratic republic. The outcome of the 1905 revolution can be deemed as unclear. In late 1905, Nicholas issued the October Manifesto, which contained promises to provide changes to Russia’s political system as well as the recognition of basic civil liberties for most citizens. More precisely, it included the creation of a national Duma (parliament), universal male suffrage and essential civil freedoms (conscience, speech, assembly and association). However, the socialists rejected the concessions as insufficient and tried to organize new strikes. One recurrent argument was that this new legislative body was flawed from its inception, because the Tsar maintained the power to veto any legislation he wished and the power to disband the body if he and the Duma could not reach an agreement. The representatives who accepted these changes formed a political party, the Octobrists. As for the Kadets, they advocated universal suffrage. Because of their continued involvement in armed uprisings, parties of Marxist inspiration were undecided whether to participate in the upcoming Duma elections. 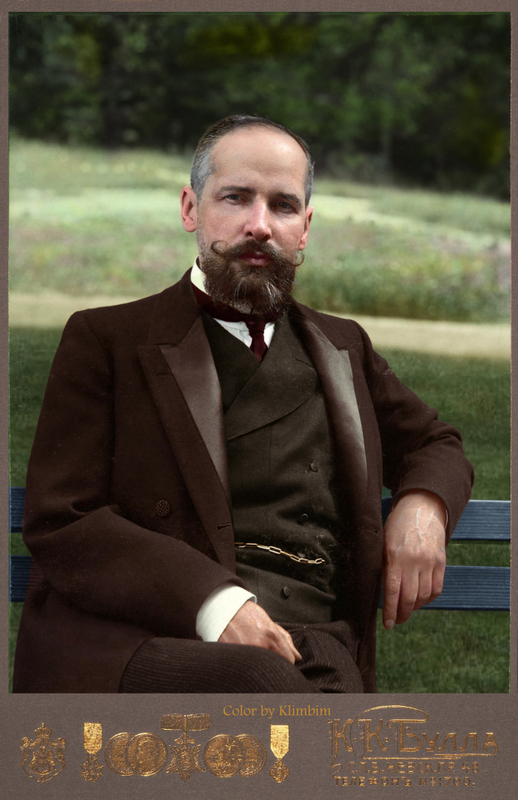 Within the above-mentioned public policies, Stolypin’s most ambitious move was his peasant reform program. It would allow the establishment of private property and reorganize communes. The political reward expected by Stolypin was the emergence of a class of conservative landowning farmers loyal to the Tsar. However, by 1914 only about 10 percent of peasant communes had been dissolved because most peasants did not want to permit outsiders to buy land or to lose the safety of the commune. Back to the immediate consequences of the Treaty of Portsmouth, Russia recognized Japan’s influence in Korea (later annexed through the Japan–Korea Treaty of 1910) and southern Manchuria as well as British ascendancy in Afghanistan, southern Persia and Tibet. The tsarist regime also had to cede the southern half of Sakhalin Island to Japan and to sign over its 25-year leasehold rights to Port Arthur, including the naval base. 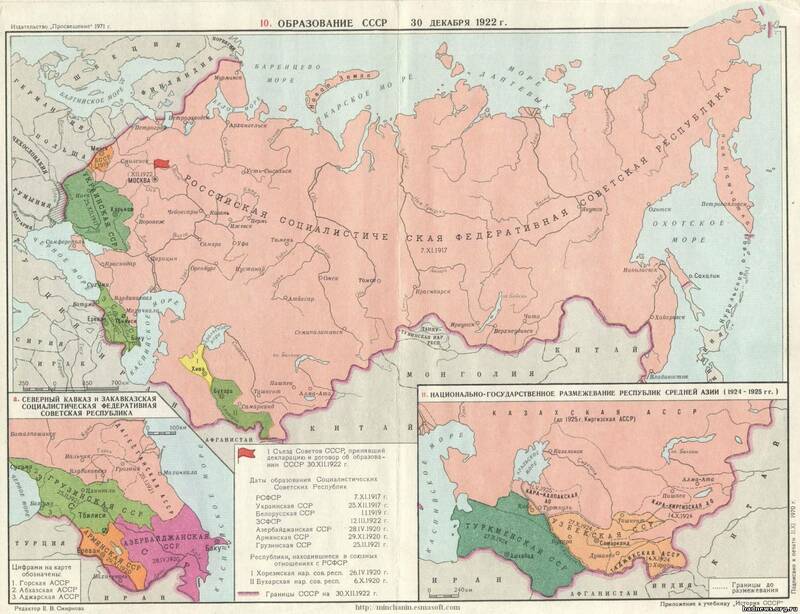 However, Russia managed to maintain its sphere of influence in northern Persia and northern Manchuria. Then, Russia and Japan recognized each other’s spheres of influence in Inner Mongolia after China’s republican revolution of 1911. Russia also protected its strategic and financial position by entering the Triple Entente with Britain and France. In Europe, Austria–Hungary and Russia resumed their rivalry in the Balkans, focusing on Bosnia and Serbia. In 1908, Izvolsky, the recently appointed Russian Foreign Minister, traded support on the annexation of Bosnia by Austria–Hungary for its consent to revise the Treaty of Paris (1856) which granted neutrality to the Bosporus and Dardanelles straits. Izvolsky’s move would have given Russia special navigational rights but it was blocked by Great Britain, while Austria proceeded with the annexation with support from Germany. OR Note: Earlier we have published detailed essays on the British diplomatic intrigues to clash its main continental rivals, Russia and Germany, in a mortal combat, and its treacherous policy during the war: Assassination in Sarajevo, Who ignited First World War?, The Great Odd War. On Russia’s side, one of the Tsar’s principal motives for risking war was clearly his desire to restore the prestige lost following the Russo-Japanese war. Besides, as pointed out in part 1 of this series, the Russian Empire had always been an agglomeration of diverse ethnicities, which entailed significant signs of disunity in the past. Therefore, he also sought to foster a greater sense of national unity with a war against a common and ancient enemy. The perspective of a shared peril would partially mitigate the social unrest over the persistent issues of poverty, inequality, and harsh working conditions. Unfortunately for him, this patriotic unity did not last long. Bound by treaty, Russia entered World War I at the defense of fellow Slavic nation Serbia and opened hostilities with Austria-Hungary and Germany in support of its French ally. Russian offensives into East Prussia drew enough German troops from the western front to allow Great Britain, France and Belgium to stop the German advance. It came at a huge cost, though: one of Russia’s two invading armies was almost totally destroyed at the Battle of Tannenberg (over 30,000 Russian troops were killed or wounded and 90,000 captured, while Germany suffered about 20,000 casualties). Along with the side effects of the war economy discussed above, basic economic and social conditions can be named as deep explanations of workers’ discontent. At that time, the economic and social reality for most people was low real wages, an average 10-hour workday six days a week (many worked up to 12 hours a day), a high level of professional injury risk because of poor safety conditions and overcrowded housing with often deplorable sanitary conditions (no running water, waste management issues). In the next days, almost the entire city was on strike. 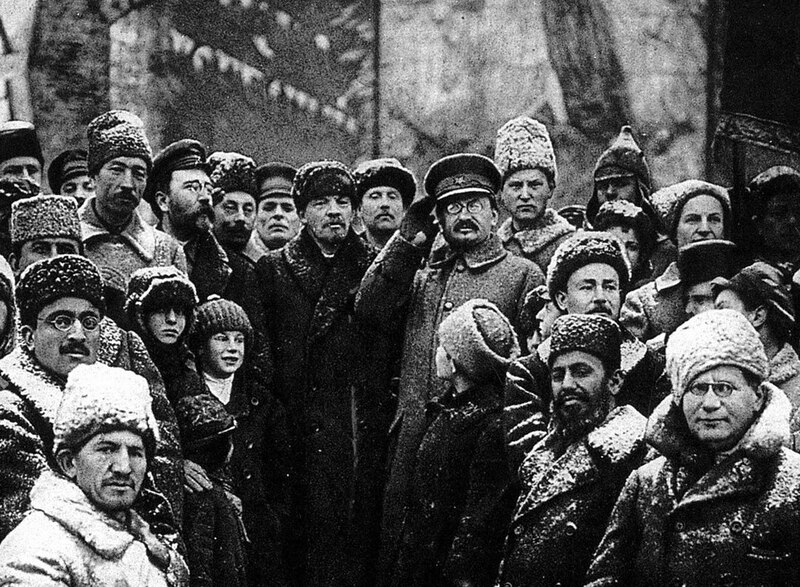 The February Revolution officially began on February 26th when soldiers openly sided with the strikers, after the Tsar dispatched troops to shoot at demonstrators and ordered the Duma to disband. Governmental authority in the capital collapsed and symbols of the regime were torn down around the city. To restore law and order, the liberal bloc of the parliament urged to establish a provisional government headed by Prince Lvov, a descendant of Rurik, the founder of the Russian nation. The last Russian Emperor Nicholas II in the uniform of his regiment. In the Winter Palace, the Army Chiefs and the Tsar’s remaining ministers (those who had not fled) suggested that he abdicates the throne. 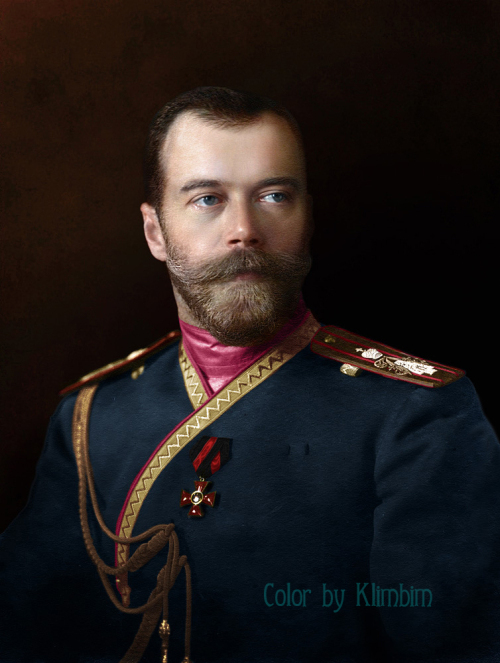 Nicholas II did so on March 2nd, and nominated his brother, the Grand Duke Michael Alexandrovich, to succeed him. But the latter realized that he would have little support so he declined the proposition the next day. According to Robert Service, the Provisional Government’s lack of political legitimacy (as it was not a publicly elected body, having been self-proclaimed by committee members of the Duma) prevented it from questioning the Petrograd Soviet’s on legal ground. Instead, it called for elections to be held later. Shortly after, the head of the Provisional Government resigned following a series of political crises that became known as the “July Days”, which saw approximately half a million people come out onto the streets of Petrograd in protest, calling for “all power to the Soviets”. Nonetheless, Lenin failed to organize a coup on this occasion. The crowd, lacking leadership, disbanded and the government survived. 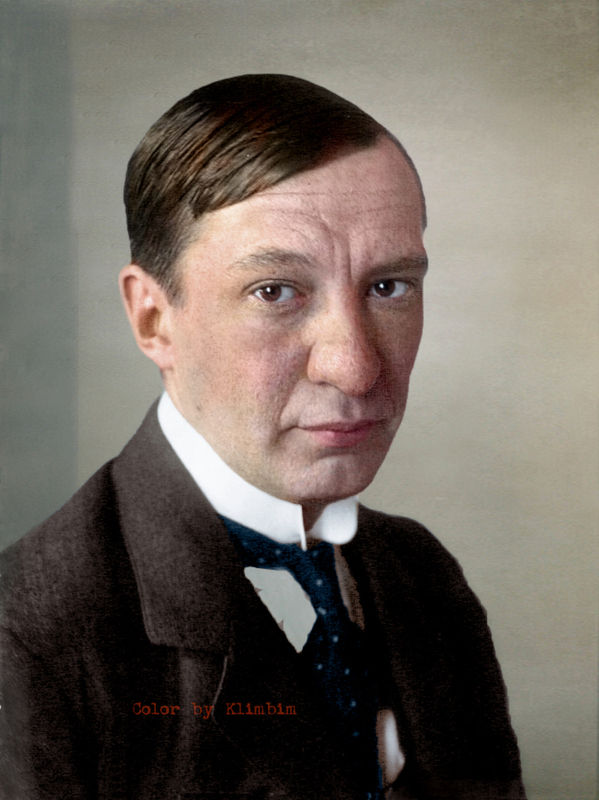 Kerensky became its new head. He was more progressive than his predecessor but not radical enough for the Bolsheviks and the large part of the Russian population who could not stand the deepening economic crisis and the continuation of the war any longer. As minister of war and later Prime Minister, Kerensky promoted freedom of speech which materialized by the release of thousands of political prisoners but he was no more successful than his predecessors regarding the war issue. However, the Bolshevik failure in the July Days proved temporary, thanks to a massive growth in membership. Indeed, from February to September 1917 the party’s audience increased almost tenfold, thereby overtaking the Mensheviks and the Socialist Revolutionaries as majority factions in Petrograd and Moscow. In early September, the Petrograd Soviet managed to free all jailed Bolsheviks and Trotsky became its chairman. The garrisons in Petrograd, Moscow, the Northern and Western fronts, and the sailors of the Baltic Fleet openly declared through their elected representative body Tsentrobalt that they did not recognize the authority of the Provisional Government anymore and would not carry out any of its commands as a result. 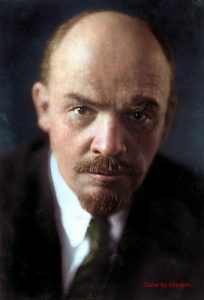 By October, Lenin felt there was no legal danger regarding his return to Petrograd in order to have a second opportunity for revolution. He therefore began pressing for the immediate overthrow of the Kerensky government by the Bolsheviks. The Bolshevik Central Committee promptly drafted a resolution, calling for the dissolution of the Provisional Government in favor of the Petrograd Soviet. It was passed 10–2, with Lev Kamenev (Trotsky’s brother-in-law) and Grigory Zinoviev (not related to Alexander Zinoviev, the later Soviet critic who would became famous for his novel Yawning Heights) opposing the project. The Bolsheviks used their influence on the Petrograd Soviet to organize the revolutionary forces. Under the authority of the Military Revolutionary Committee, Bolshevik Red Guards began the takeover of government buildings on October 24th (O.S.). The Winter Palace was captured the following day. Once the Congress of Soviets successfully claimed power from the Provisional Government after the fall of the Winter Palace, the revolution was complete. The Council of People’s Commissars promptly organized a political repression campaign by arresting the leaders of opposition parties, thereby tearing apart freedom of speech and association promises. In the process, major members of the Constituent Assembly, the Socialist-Revolutionary Party, the Constitutional Democratic Party (Kadets) as well as Menshevik leaders were imprisoned in The Peter and Paul Fortress in Petrograd. On 20 December 1917, the Cheka was created by decree of Lenin, marking the official end of democratic hopes under Bolshevik auspices. However, one could argue that this move was more the result of political calculus than a change of convictions. Indeed, members of the Soviets were originally freely elected. When the Bolsheviks realized that they had little support outside of the industrialized areas of Saint Petersburg and Moscow, they decided to prevent non-Bolsheviks from membership. One explanation for the Bolsheviks’ lack of success outside the two main cities of the empire is the latter’s ethnical diversity, which has been pointed out in previous parts of this series. In January 1918, the Constituent Assembly met for the first time and refused to become a puppet of the Bolshevik regime, it was dissolved. Henceforth, all vestiges of democracy were removed. One month later, the Red Army overthrew the White-supported Kokand autonomy of Turkestan. Soviet delegation at Brest-Litovsk, 15.01.1918. Sitting, from the left: Lev V.Kamenev, Adolff A. Joffe, Anastasia A. Bitzenko. 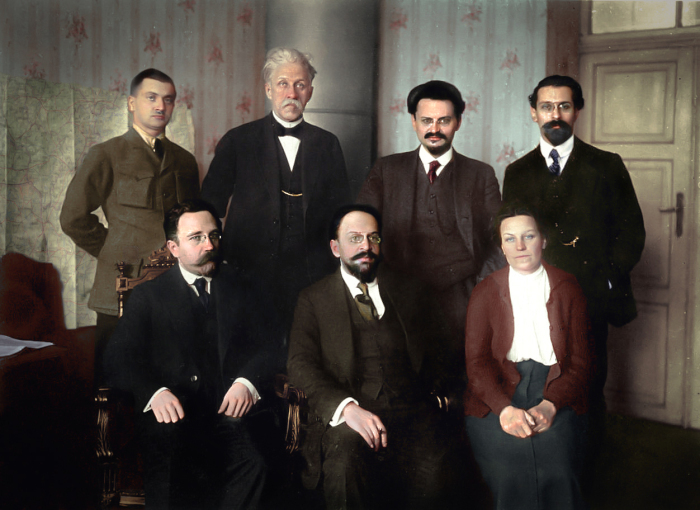 Standing: V. V. Lipskiy, P. Stučka, Lev D.Trotsky, Lev M.Karakhan. On the Eastern front, the Revolt of the Czechoslovak Legion broke out in May 1918. Rebel peasants supported by the Mensheviks and the legionaries took control of Samara and Saratov, establishing the Committee of Members of the Constituent Assembly, known as the Komuch. Then, they took Chelyabinsk the next month. The Komuch introduced an eight-hour working day along with “restorative” actions, such as returning both land and factories to their former owners. In the meantime, Russian officers’ organizations overthrew the Bolsheviks in Omsk and Petropavlovsk. It took less than a month for the Whites to control most of the Trans-Siberian Railroad from the Ural regions to Lake Baikal and Bolshevik power in Siberia was eliminated during the summer, resulting in the formation of the Provisional Government of Autonomous Siberia in Omsk. 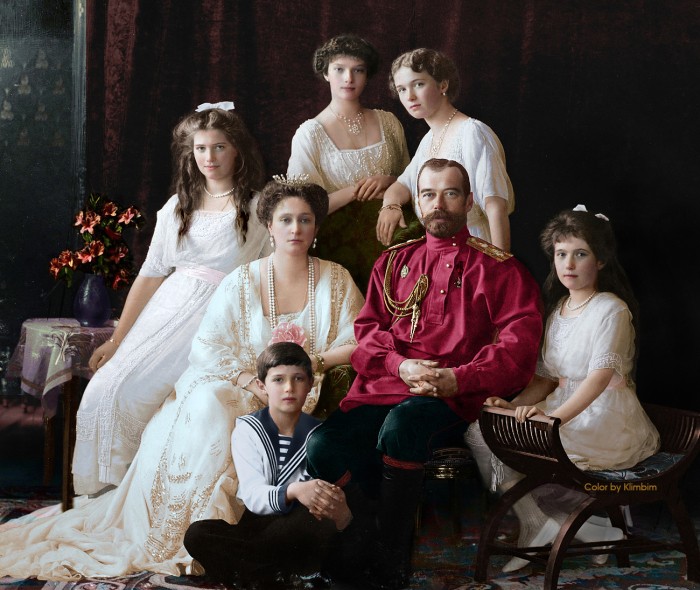 The Provisional Government had placed Nicholas II and his family under house arrest in the Alexander Palace at Tsarskoe Selo, as early as March 1917. Four months later, the Kerensky government evacuated the Romanovs to Tobolsk in the Urals, allegedly to protect them from rising tension. Then in May 1918, as the force of the White movement grew, they were moved again, to Yekaterinburg this time, which was a Bolshevik stronghold. 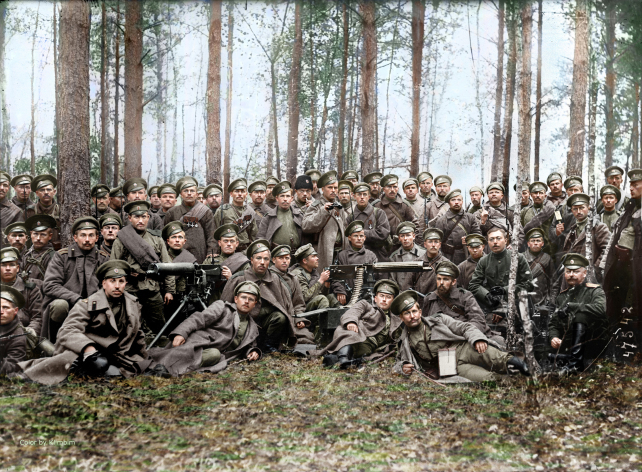 On July 26th, 1918 the Whites captured Ekaterinburg thereby extending their gains westwards. In September 1918, the Siberian Provisional Government (Komuch) and other local anti-Soviet governments met in Ufa and agreed to form a new Provisional All-Russian Government in Omsk, run by a Directory composed of three Socialist-Revolutionaries (Avksentiev, Boldyrev and Zenzinov) and two Kadets (Vinogradov and Vologodskii). Insurgent Cossack units from Siberia, the Urals, Lake Baikal, Orenburg, Semirechye, and Ussuri were under the orders of Boldyrev, who was chosen as Commander in Chief of the newly created government. 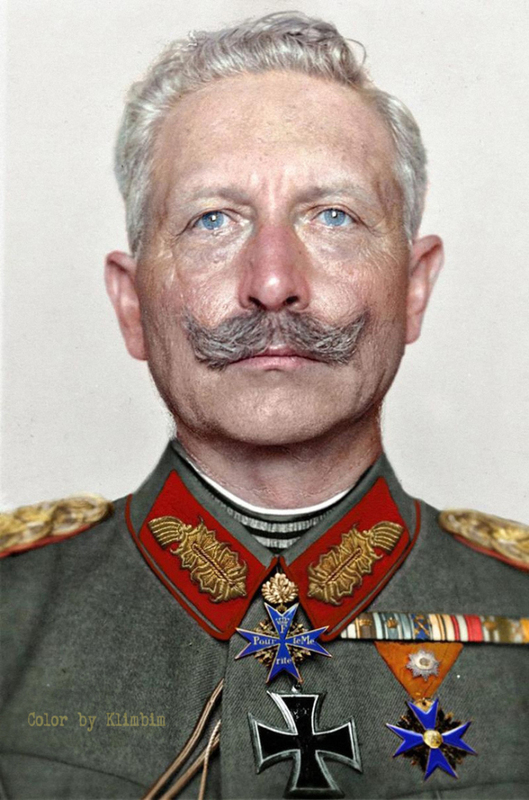 Meanwhile on the Volga, Colonel Kappel’s White detachment had captured Kazan on August 7th, only to see the Reds retake the city almost exactly one month later. On September 11th, Simbirsk fell and on October 8th it was Samara’s turn, pushing the Whites back eastwards to Ufa and Orenburg. By mid-December 1918, White armies had to leave Ufa, but managed to balance this failure by taking Perm on Christmas Eve. One explanation to this change in momentum in favor of the Bolsheviks lies in the Cossacks’ inability to capitalize on their earlier successes. Moreover, they began to run short of supplies by 1919. As a result, Cossack forces rapidly fell apart when the Soviet counter-offensive led by Antonov-Ovseenko took place in January. On February 3rd, 1919 the Red Army captured Kiev a strategic place of the utmost importance, considering its status of large city and epicenter of the Russian nation (see the first two parts of this series). In the meantime, the British government pulled their military forces out of Central Asia. 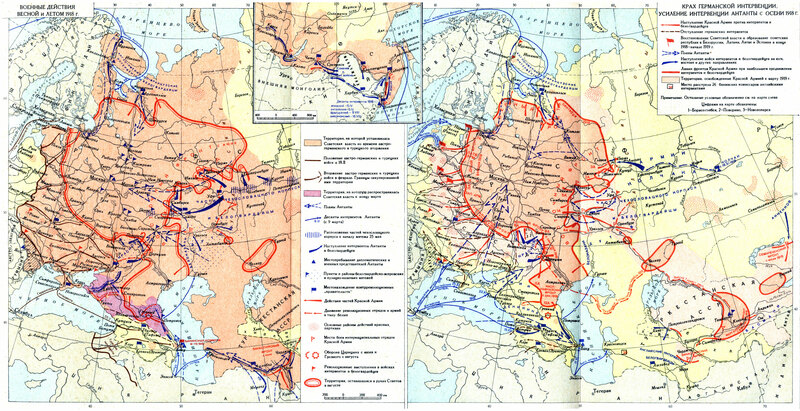 On the eastern front, the general offensive of the Whites began at the beginning of March 1919, which mainly resulted in Ufa switching side again. 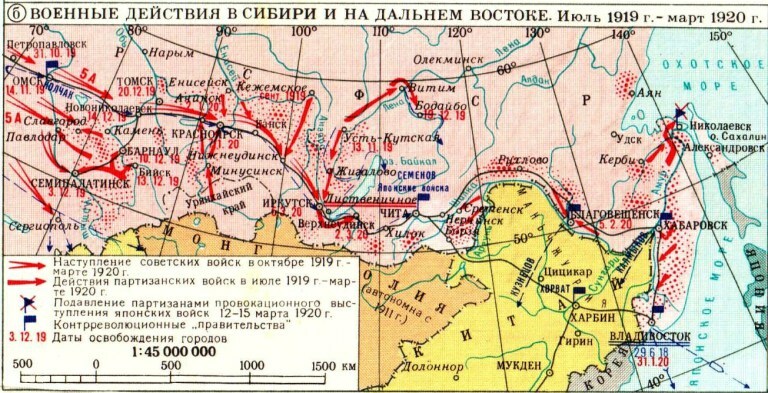 By mid-April, the White Army were stopped at the Glazov-Chistopol-Bugulma-Buguruslan-Sharlyk line while the Reds were preparing their counter-offensive against Kolchak’s forces for the end of the month. In the west, the Red Army eventually captured Yelabuga on May 26th, Sarapul on June 2nd and Izevsk on June 7th. However, they were chased from Crimea and from the Odessa area in mid-June. General Yudenich had spent the summer organizing the Northwestern Army in Estonia with local and British support. In October 1919, he tried to take Petrograd with around 20,000 soldiers. In European Russia and Siberia, communication disruptions ceased to be a problem by mid-November 1919. Thanks to Bolshevik successes north of Central Asia, communication lines with Moscow were re-established, and the Red Army was able to claim victory over the White Army in Turkestan. In Ukraine, the Bolshevik government signed a political and military alliance with anarchist Makhno’s Revolutionary Insurrectionary Army, also known as the Black Guards, which until then fought against both sides in the wake of Ukraine’s annexation to Germany by the Treaty of Brest-Litovsk. The Black Guards were able to defeat several regiments of Wrangel’s troops in the southern part of the country, forcing him to retreat before harvest time. By 1921, the Bolsheviks had defeated their internal enemies, with the notable exception of White forces gathered in Vladivostok. On the international stage, however, some newly independent states did not fall under their control: Poland (which received Western Ukraine and Western Belarus when the Peace of Riga was signed with Russia in March 1921), Finland (which also annexed a part of the Russian Kola peninsula), the Baltic States, the Moldavian Democratic Republic (which joined Romania). Part 4 of this series was aimed at articulating the various elements which led to the Russian Revolutions. Without pretending to be exhaustive, it hopefully pointed out the dynamics of this complex moment in Russia’s history. With tsarism gone, a new chapter opens, that of the USSR. Orlando Figes, A People’s Tragedy, op. cit. Ian F.W. Beckett, op. cit. Nicholas Riasanovsky and Mark Steinberg, op. cit. Edward A. Allworth (Ed. ), op. cit. W. Bruce Lincoln, op. cit.